While assembling a creamy Italian pasta salad the other day, I get to thinking of antipastos, those colourful platters of assorted foods you often see at Italian family dinner get-togethers; big oval serving dishes of marinated vegetables and cheeses and olives and beans. I’m actually pro antipasto, so I think about how to adapt this to a casual setting. After mentally debating the pros and cons of an antipasto salad, I think; why not toss some well-liked items in a salad bowl and stir in the dressing to sort of pre-marinate the groceries. Let it chill, dish it out and enjoy the flavours of the sunny Mediterranean in a bowl, even if it’s hot and muggy in my part of the world. So I came up with this. I like to use cannelloni beans but only had great northern beans in the pantry, so chose them. If you don’t care to bother with dried beans, feel free to use canned but please drain and rinse them thoroughly first. You could use your favourite beans here, like limas or ceci. 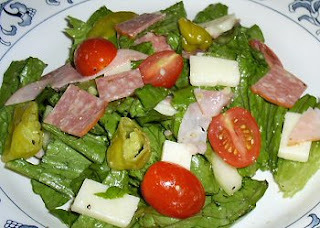 Antipasto salad makes a nice supper, especially if you are sitting in the shade outdoors. So up the ante and give it a try. ½ pound (250g) Italian-style cured meats. Prosciutto, sopressata, capicola, genoa and pepperoni would be good. A little of each would be perfecto. ½ pound (250g) assorted diced cheeses: swiss, asiago, provolone, fontinella and havarti, your personal choice. ½ cup (125ml) assorted pitted olives: nicoise, calamata etc. Include some dry- cured olives for a nice mix. Red- leaf and Romaine lettuce leaves are good and so is Arugula. Slice the sausages thinly, removing any casing. Cut the slices into strips. Combine the sausages and all ingredients up to and including the green onions in a handsome, suitable bowl. Stir thoroughly. Combine the next 5 ingredients well, making an emulsion, then pour into the salad bowl and stir thoroughly. Chill the salad for at least 2 hours, at which time it will be ready to serve. Almost everybody can be proactive and enjoy antipasto salad. Won’t you join them? This looks great. We have antipasto before the main meal and salad afterwards. This kind of combines the two. I like it! Stopping by from Joanne's. This looks fab and what a crowd pleaser too! JOANNE: Thank You Joanne, so it like kills two birds with one stone so to speak. Blessings. ALEXIS AKA MOM: I'm happy to meet you, thanks for calling. Is great salad for crowds, can easily be doubled. I have never tried anisse seeds on salads, I will give it a go. At home we do eat loads of cheesse and cured meats, and I like to add them to anything, so this sald is a must. I had this a few days ago. It's really delicious! NOEMI: If you ever go into an ethic Italian delicatessen, there is a lovely aroma in the air, usually coming from the aged cheeses and fennel. I use anise seeds a lot which replicates that aroma. I'm happy that you like it. INVERSE: Thank You, you're right it is. Anthony - I am having company this weekend. This salad will be perfect. I'm drooling over the picture of that salad, Anthony. What a great mix of colors and textures. Man this looks great, I can almost taste it. I can eat this one every day of the week! ANDREA: I do too. Salads are good not only for taste but for the necessary fibre. BILLKIRKWRITES: Thank You for your compliment. Your book about muscles is fascinating. 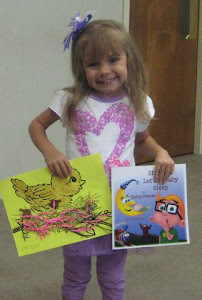 The education tipster was reading your pdf; the info and the rhymes are great. NATURAL ONE: You're in for a delicious experience when you do. Thanks for calling. PEG: I hear you, we are on the same page here. I love salads .. yummy and healthy. Addition of beans is new .. will try next time. Regarding the eggplant raita: It is normally served at room temperature. Yes the skillet is cast iron. VARDHINI: Glad you like the salad. I'm going to make the raita. Now that's a salad I could sink my teeth into! I'm so glad you like the menu from our party. As for the alcohol it could easily be omitted to make a virgin drink or in the case of the jello shots just replace the vodka with water as called for in the original recipe. I did know you were kidding about what a locavore was, but I thought it was so cute that I decided to use it! I loved this salad, but what really caught my eye is the curry. I've gone all bonkers about curry lately, and was surprised how easy it is to make. Now I put it in BBQ (don't cringe), but so many things go with it, I can see why it's a staple. I can even see it on the fresh green beans I grow, and the banana squash. If I could bring myself to retire some old hens, it would cover up the not-very tender meat. But I'm a chicken. LOL. Sounds delicious. I probably should have waited to read it until AFTER I had lunch. TONY STORM: Thank You, tastes good too. SANDY: Although it's not southwestern, I'll bet Mr Flay would approve, eh? I know he would. I didn't ever care for sweet cocktails, my favourite was an "old fashioned". I love angostura bitters. Best wishes on your locavores quest. SHARON: I'm very fond of curries too. Great with bbq sauce, nothing to cringe about. Green beans and potatoes in a curry sauce is wonderful. MANZANITA: Thank you for your wonderful heart-felt compliment, I am grateful. You're right would be perfect in that setting, even a rectangular table. cm. ANGELA: Tuck into this next chance you get dear, you will love it. Yes Anthony .. you could just take plain rice and add the podi. You can add a tsp or 1/2 tsp of any oil along with it. Even olive oil would work. Excellent, just want to eat now! VARDHINI: Thank you for the information, I've got the groceries for this podi, going to make it saturday. AMANDA: It's a feast on the eyes like your colours. LEOVI: I'm happy you like it, Thanks. DWEI: Thank you for calling. NICKI: This will definately hit the spot. Thank You. LAMAGICAZUCCA: Thank you for your compliments, I appreciate them. I will take a look Priya, but I'm not very lucky. Thank You for calling.